For Lascaux in the Corrèze department, see Lascaux, Corrèze. Lascaux (French: Grotte de Lascaux, "Lascaux Cave"; English: /læsˈkoʊ/, French: [lasko]) is the setting of a complex of caves near the village of Montignac, in the department of Dordogne in southwestern France. Over 600 parietal wall paintings cover the interior walls and ceilings of the cave. The paintings represent primarily large animals, typical local and contemporary fauna that correspond with the fossil record of the Upper Paleolithic time. The drawings are the combined effort of many generations, and with continued debate, the age of the paintings is estimated at around 17,000 years (early Magdalenian). Lascaux was inducted into the UNESCO World Heritage Sites list in 1979, as element of the Prehistoric Sites and Decorated Caves of the Vézère Valley. On September 12, 1940, the entrance to the Lascaux Cave was discovered by 18-year-old Marcel Ravidat when his dog fell in a hole. Ravidat (died in 1995) returned to the scene with three friends, Jacques Marsal, Georges Agnel, and Simon Coencas. They entered the cave through a 15 metres (49 ft) deep shaft that they believed might be a legendary secret passage to the nearby Lascaux Manor. The teenagers discovered that the cave walls were covered with depictions of animals. Galleries that suggest continuity, context or simply represent a cavern were given names. Those include the Hall of the Bulls, the Passageway, the Shaft, the Nave, the Apse, and the Chamber of Felines. They returned along with the Abbé Henri Breuil on the 21st September 1940; Breuil would make many sketches of the cave, some of which are used as study material today due to the extreme degradation of many of the paintings. Breuil was accompanied by Denis Peyrony (curator of the Prehistory Museum at Les Eyzies), Jean Bouyssonie and Dr Cheynier. The cave complex was opened to the public on July 14, 1948, and initial archaeological investigations began a year later, focusing on the Shaft. By 1955, carbon dioxide, heat, humidity, and other contaminants produced by 1,200 visitors per day had visibly damaged the paintings. As air condition deteriorated, fungi and lichen increasingly infested the walls. Consequently, the cave was closed to the public in 1963, the paintings were restored to their original state, and a monitoring system on a daily basis was introduced. Lascaux II, an exact copy of the Great Hall of the Bulls and the Painted Gallery was displayed at the Grand Palais in Paris, before being displayed from 1983 in the cave's vicinity (about 200 m. away from the original cave), a compromise and attempt to present an impression of the paintings' scale and composition for the public without harming the originals. A full range of Lascaux's parietal art is presented a few kilometres from the site at the Centre of Prehistoric Art, Le Parc du Thot, where there are also live animals representing ice-age fauna. The paintings for this site were duplicated with the same type of materials as iron oxide, charcoal and ochre which were believed to be used 19 thousand years ago. Other facsimiles of Lascaux have also been produced over the years; Lascaux III is the nomadic reproduction that since 2012 has allowed has to share knowledge of Lascaux around the world. Part of the cave has been recreated around a unique set of five exact replicas of the Nave and the Shaft and is displayed in various museums around the world. Lascaux IV is a new copy that forms part of the International Centre for Parietal Art (CIAP) and integrates digital technology into the display. In May 2018 Ochroconis lascauxensis, a species of fungus of the Ascomycota phylum, was officially described and named after the place of its first emergence and isolation, the Lascaux cave. This followed on from the discovery of another closely related species Ochroconis anomala, first observed inside the cave in 2000. The following year black spots began to appear among the cave paintings. No official announcement on the effect and/or progress of attempted treatments has ever been made. As of 2008, the cave contained black mold. In January 2008, authorities closed the cave for three months, even to scientists and preservationists. A single individual was allowed to enter the cave for 20 minutes once a week to monitor climatic conditions. Now only a few scientific experts are allowed to work inside the cave and just for a few days a month but the efforts to remove the mold have taken a toll, leaving dark patches and damaging the pigments on the walls. In 2009 it was announced: Mold problem "stable" (where?). In 2011 the fungus seemed to be in retreat after the introduction of an additional, even stricter conservation program. Two research programs have been instigated at the CIAP concerning how to best treat the problem, and the cave also now possesses a powerful climatisation system designed to reduce the introduction of bacteria. 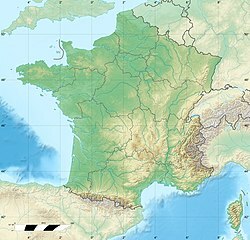 The Lascaux valley is located some distance from the major concentrations of decorated caves and inhabited sites, most of which were discovered further downstream. In the environs of the village of Eyzies-de-Tayac Sireuil, there are no fewer than 37 decorated caves and shelters, as well as an even greater number of habitation sites from the Upper Paleolithic, located in the open, beneath a sheltering overhang, or at the entrance to one of the area's karst cavities. This is the highest concentration in western Europe. The cave contains nearly 6,000 figures, which can be grouped into three main categories: animals, human figures, and abstract signs. The paintings contain no images of the surrounding landscape or the vegetation of the time. Most of the major images have been painted onto the walls using red, yellow, and black colours from a complex multiplicity of mineral pigments:110 including iron compounds such as iron oxide (ochre),:204 hematite, and goethite, as well as manganese-containing pigments. :208 Charcoal may also have been used:199 but seemingly to a sparing extent. On some of the cave walls, the colour may have been applied as a suspension of pigment in either animal fat or calcium-rich cave groundwater or clay, making paint, that was swabbed or blotted on, rather than applied by brush. In other areas, the colour was applied by spraying the pigments by blowing the mixture through a tube. Where the rock surface is softer, some designs have been incised into the stone. Many images are too faint to discern, and others have deteriorated entirely. Over 900 can be identified as animals, and 605 of these have been precisely identified. Out of these images, there are 364 paintings of equines as well as 90 paintings of stags. Also represented are cattle and bison, each representing 4 to 5% of the images. A smattering of other images include seven felines, a bird, a bear, a rhinoceros, and a human. There are no images of reindeer, even though that was the principal source of food for the artists. Geometric images have also been found on the walls. The most famous section of the cave is The Hall of the Bulls where bulls, equines, and stags are depicted. The four black bulls, or aurochs, are the dominant figures among the 36 animals represented here. One of the bulls is 5.2 metres (17 ft) long, the largest animal discovered so far in cave art. Additionally, the bulls appear to be in motion. 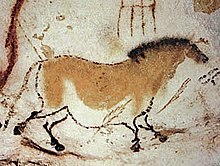 A painting referred to as "The Crossed Bison", found in the chamber called the Nave, is often submitted as an example of the skill of the Paleolithic cave painters. The crossed hind legs create the illusion that one bison is closer to the viewer than the other. This visual depth in the scene demonstrates a primitive form of perspective which was particularly advanced for the time. The interpretation of Palaeolithic Art is very risky, and is as influenced by our own prejudices and beliefs as actual data. Some anthropologists and art historians theorize that the paintings could be an account of past hunting success, or could represent a mystical ritual in order to improve future hunting endeavors. The latter theory is supported by the overlapping images of one group of animals in the same cave location as another group of animals, suggesting that one area of the cave was more successful for predicting a plentiful hunting excursion. Less known is the image area called the Abside (Apse), a roundish, semi-spherical chamber similar to an apse in a Romanesque basilica. It is approximately 4.5 metres in diameter (about 5 yards) and covered on every wall surface (including the ceiling) with thousands of entangled, overlapping, engraved drawings. The ceiling of the Apse, which ranges from 1.6 to 2.7 metres high (about 5.2 to 8.9 feet) as measured from the original floor height, is so completely decorated with such engravings that it indicates that the prehistoric people who executed them first constructed a scaffold to do so. The famous shaft scene of Lascaux: a man with a bird head and a bison. According to David Lewis-Williams and Jean Clottes who both studied presumably similar art of the San people of Southern Africa, this type of art is spiritual in nature relating to visions experienced during ritualistic trance-dancing. These trance visions are a function of the human brain and so are independent of geographical location. Nigel Spivey, a professor of classical art and archeology at the University of Cambridge, has further postulated in his series, How Art Made the World, that dot and lattice patterns overlapping the representational images of animals are very similar to hallucinations provoked by sensory-deprivation. He further postulates that the connections between culturally important animals and these hallucinations led to the invention of image-making, or the art of drawing. The opening of Lascaux Cave after World War II changed the cave environment. The exhalations of 1,200 visitors per day, presence of light, and changes in air circulation have created a number of problems. Lichens and crystals began to appear on the walls in the late 1950s, leading to closure of the caves in 1963. This led to restriction of access to the real caves to a few visitors every week, and the creation of a replica cave for visitors to Lascaux. In 2001, the authorities in charge of Lascaux changed the air conditioning system which resulted in regulation of the temperature and humidity. When the system had been established, an infestation of Fusarium solani, a white mold, began spreading rapidly across the cave ceiling and walls. The mold is considered to have been present in the cave soil and exposed by the work of tradesmen, leading to the spread of the fungus which was treated with quicklime. In 2007, a new fungus, which has created grey and black blemishes, began spreading in the real cave. Organized through the initiative of the French Ministry of Culture, an international symposium titled "Lascaux and Preservation Issues in Subterranean Environments" was held in Paris on February 26 and 27, 2009, under the chairmanship of Jean Clottes. It brought together nearly three hundred participants from seventeen countries with the goal of confronting research and interventions conducted in Lascaux Cave since 2001 with the experiences gained in other countries in the domain of preservation in subterranean environments. The proceedings of this symposium were published in 2011. Seventy-four specialists in fields as varied as biology, biochemistry, botany, hydrology, climatology, geology, fluid mechanics, archaeology, anthropology, restoration and conservation, from numerous countries (France, United States, Portugal, Spain, Japan, and others) contributed to this publication. ^ "American English Dictionary: Definition of Lascaux". Collins. Retrieved 18 August 2013. ^ "English Dictionary: Definition of Lascaux". Collins. Retrieved 18 August 2013. ^ "Lascaux Cave Paintings: Layout, Meaning, Photographs - Dating - Chronological questions about the age of Lascaux's cave paintings, over what period they were created, and the identity of the oldest art in the complex, are still being debated..." Visual arts cork com. Retrieved December 28, 2016. ^ "Ice Age star map discovered - thought to date back 16,500 years". BBC. August 9, 2000. Retrieved December 27, 2016. ^ "Lascaux, France. These paintings are estimated to be around 17,300 years old". Ancient-wisdom. Retrieved December 27, 2016. ^ "Prehistoric Sites and Decorated Caves of the Vézère Valley". UNESCO World Heritage Center. Retrieved 30 December 2012. ^ a b "Lascaux Cave". Ancient History Encyclopedia. Retrieved 2018-12-21. ^ "Discovery of the Lascaux Cave Paintings | History Today". www.historytoday.com. Retrieved 2018-12-21. ^ "Lascaux's prehistoric cave of wonders discovered by a dog". www.dailytelegraph.com.au. 2015-09-10. Retrieved 2018-12-21. ^ Thomas Jr., Robert McG. (March 31, 1995). "Marcel Ravidat is Dead at 72; Found Lascaux Paintings". The New York Times. Retrieved 30 December 2012. ^ a b Bahn, Paul G. (2007). Cave Art: A Guide to the Decorated Ice Age Caves of Europe. London: Frances Lincoln. pp. 81–85. ISBN 0711226555. ^ le retour des loups “préhistoriques” "Lascaux III," another copy, has toured the world. In December 2016, "Lascaux IV," a complete reproduction of the caves, opened along with various interactive features. ^ Quotations, K. Kris Hirst K. Kris Hirst is an archaeologist with 30 years of field experience She is the author of The Archaeologist's Book of; Science, her work has appeared in; Archaeology. "The Beautiful and Famous Lascaux Cave". ThoughtCo. Retrieved 2018-12-21. ^ "Lectures on the Ice-Age Painted Caves of Southwestern France" (PDF). ^ Ferrier, Catherine; Debard, Évelyne; Kervazo, Bertrand; Brodard, Aurélie; Guibert, Pierre; Baffier, Dominique; Feruglio, Valérie; Gély, Bernard; Geneste, Jean-Michel (2014-12-28). "Heated walls of the cave Chauvet-Pont d'Arc (Ardèche, France): characterization and chronology". PALEO. Revue d'archéologie préhistorique (25): 59–78. ISSN 1145-3370. ^ Martin-Sanchez, Pedro Maria; Nováková, Alena; Bastian, Fabiola; Alabouvette, Claude; Saiz-Jimenez, Cesareo (2012). "Two new species of the genus Ochroconis, O. lascauxensis and O. anomala isolated from black stains in Lascaux Cave, France". Fungal Biology. Elsevier. 116 (5): 574–89. doi:10.1016/j.funbio.2012.02.006. PMID 22559918. ^ Moore, Molly (July 1, 2008). "Debate Over Moldy Cave Art Is a Tale of Human Missteps". The Washington Post. Retrieved 30 December 2012. ^ "Lascaux's 18,000 year-old cave art under threat". Phys.org. Retrieved December 28, 2016. ^ a b Nechvatal, Joseph (2011). Immersion Into Noise. Ann Arbor: Open Humanities Press. pp. 74–76. ISBN 978-1-60785-241-4. Retrieved 30 December 2012. ^ a b c Dickson, D. Bruce (1992). The Dawn of Belief: Religion in the Upper Paleolithic of Southwestern Europe. ISBN 9780816513369. ^ a b c Rapp, George R. (2013). Archaeomineralogy. ISBN 9783662050057. ^ a b c "Lascaux Cave Paintings: Layout, Meaning, Photographs". visual-arts-cork.com. ^ a b Curtis, Gregory (2006). The Cave Painters: Probing the Mysteries of the World's First Artists (1st ed.). New York: Alfred A. Knopf. pp. 96–97, 102. ISBN 1400043484. ^ "Lascaux cave: History". www.karstworlds.com. Retrieved 2018-11-26. ^ Guiot-Houdart, Thérèse (2004). Lascaux et les mythes (in French). Périgueux: Pilote 24. ISBN 2-912347-39-4. ^ Harry Francis Mallgrave (26 June 2013). Architecture and Embodiment: The Implications of the New Sciences and Humanities for Design. Routledge. pp. 190–. ISBN 978-1-135-09424-9. ^ Gray, S. W. (2014). [ro.uow.edu.au/cgi/viewcontent.cgi?article=5404&context=theses "The cartographic paradigm in contemporary Australian landscape painting"] Check |url= value (help). ^ Joëlle Dupont; Claire Jacquet; Bruno Dennetière; Sandrine Lacoste (2007). "Invasion of the French Paleolithic painted cave of Lascaux by members of the Fusarium solani species complex". Mycologia. 99 (4): 526–533. doi:10.3852/mycologia.99.4.526. PMID 18065003. 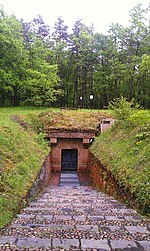 ^ At the Takamatsuzuka Tomb in Japan, and Altamira in Spain, for example. ^ Simons, Marlise (9 December 2007). "Fungus Once Again Threatens French Cave Paintings". World:Europe. New York Times. Retrieved 15 October 2010. B.et G. Delluc (dir. ), Le Livre du Jubilé de Lascaux 1940-1990, Société historique et archéologique du Périgord, supplément au tome CXVII, 1990, 155 p., ill.
B. et G. Delluc, 2006 : Discovering Lascaux, Sud Ouest, nouvelle édition entièrement revue et très augmentée, 80 p., ill. plans et coupe. Rigaud, Jean-Philippe (October 1988). "Art Treasures from the Ice Age: Lascaux Cave". National Geographic. Vol. 174 no. 4. pp. 482–499. ISSN 0027-9358. OCLC 643483454.